#1 – Your window opportunity to get quality, affordable healthcare coverage for 2015 is about to close. Open enrollment ends this Sunday, February 15th. To purchase coverage on the healthcare marketplace, visit healthcare.gov or for assistance with enrolling in the right plan, visit http://floridachain.org or http://out2enroll.org/consumers/. #2 – Know your rights when it comes to receiving quality healthcare. Equality Florida Institute is partnering with LGBT HealthLink to promote the recently drafted LGBT Healthcare Bill of Rights. 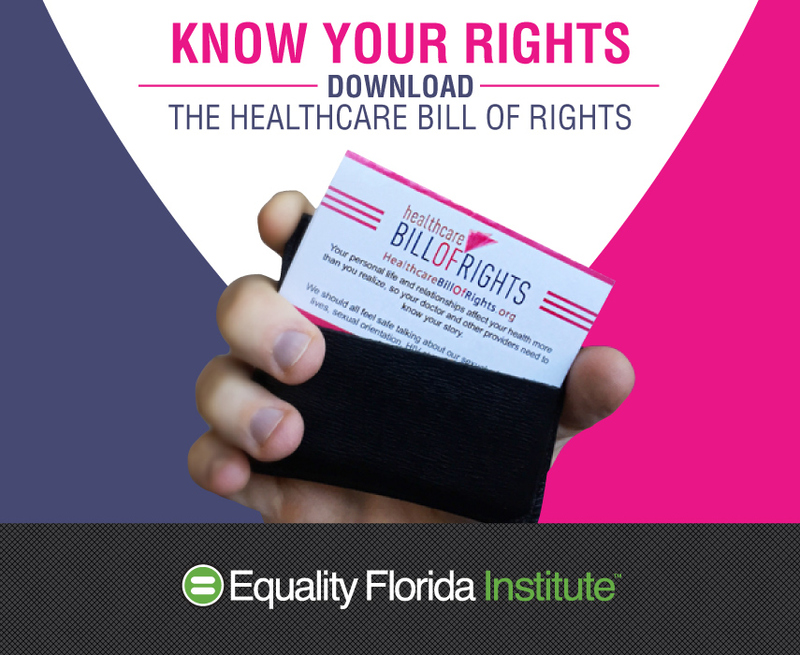 To learn more and download a print-friendly version of the Bill of Rights, visit http://healthcarebillofrights.org/Partner/33/equality-florida.